To celebrate the 130th Anniversary of Four Roses this year, we’ve taken you on a walk down memory lane, starting all the way back in 1888 when our brand was born, to now! We hope you’ve enjoyed reading these stories and relics from our past that have mingled together in harmony to form what Four Roses is today. Now, let’s explore one final time period – the year 2000 to now. In February 2002, a new parent company, Japan-based Kirin Holdings, acquired Four Roses worldwide. The company decided to bring the Bourbon back to the United States, after it had been sold only abroad for many years. They removed the blended whiskey product that had previously been sold domestically, and the company began to sell 100 percent Kentucky Straight Bourbon Whiskey in the U.S. In 2004, under the leadership of Master Distiller Jim Rutledge, the brand launched a new Four Roses product in the U.S. and Europe – Four Roses Single Barrel. Four Roses Small Batch followed in 2006. 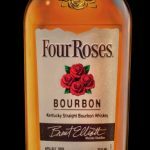 In 2005, the brand presented a new label for its Four Roses Yellow product, which was renamed as Four Roses Bourbon with renewed packaging in 2018. 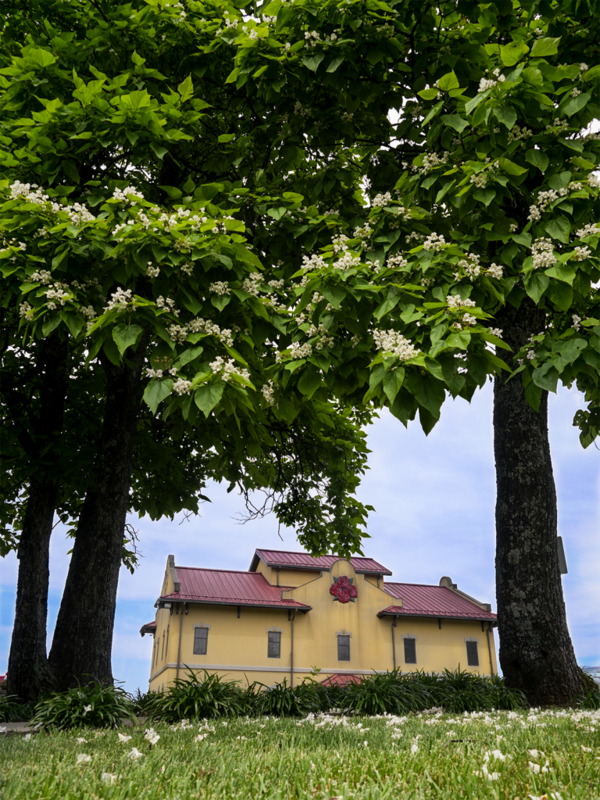 In 2005, Kirin Holdings made the decision to move Four Roses’ headquarters from Tokyo, Japan back to Lawrenceburg, Kentucky. 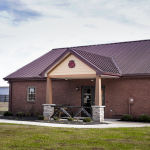 In 2013, an additional Visitor Center and Barrel Tasting Room were completed at the Warehouse & Bottling Facility in Cox’s Creek, Kentucky. In 2015, the company invested more than $55 million in an expansion project to enhance production facilities in both locations – at the Distillery in Lawrenceburg and the Warehouse & Bottling Facility in Cox’s Creek. The expansion project is nearly complete, and is scheduled to debut in Spring 2019. In 2015, Four Roses named Brent Elliott as Master Distiller. 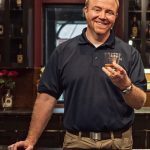 Brent entered the role of Master Distiller uniquely qualified, as he worked closely with former Master Distiller Jim Rutledge for 10 years, and served as the Distillery’s Director of Quality for nearly a decade. He had prior experience mingling Four Roses products and taking part in barrel selections. Brent is dedicated and passionate about handcrafting each Four Roses product with the same quality that we’ve used since 1888. Since becoming Master Distiller, Brent has introduced multiple successful Limited Edition products, including his namesake Bourbon, Elliott’s Select, as well as several other Limited Edition Small Batch Bourbons. 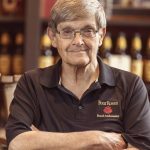 In 2017, Four Roses’ beloved Al Young celebrated 50 years with the brand. Al has served in a variety of roles at Four Roses, including Distillery Manager. In 2007, he was named Four Roses Brand Ambassador, a role that has him crossing the country sharing the story of Four Roses and its Bourbon. He is also the resident historian for the brand, having researched archives, Distillery records, news accounts, photos and artifacts to write the book Four Roses: The Return of a Whiskey Legend, published in 2010. Al was inducted into the Whisky Magazine Hall of Fame in 2015 and is also a member of the Kentucky Distillers’ Association Kentucky Bourbon Hall of Fame. He celebrated this milestone with the release of Al Young’s 50th Anniversary Limited Edition Small Batch. This year, we’re celebrating our 130th anniversary as a brand. 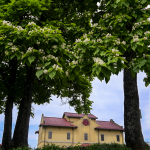 Kirin is still the parent company for Four Roses while Brent Elliott serves as Master Distiller, and Al Young holds his role as Senior Brand Ambassador. The brand’s family of award-winning Bourbons – Four Roses Bourbon, Four Roses Small Batch and Four Roses Single Barrel – remain popular in the U.S. and abroad.